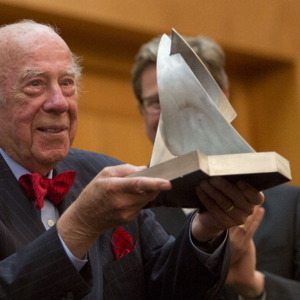 How much is George Shultz Worth? George P. Shultz net worth: George P. Shultz is an American economist, statesman and investor who has a net worth of $10 million. George P. Shultz was born n December 13, 1920 in New York City. During his life he served in different positions under three American Presidents, all Republicans. Under Nixon he served as the Secretary of the Treasury, Director of the Office of Management and Budget and Secretary of Labor. He was Secretary of State during the Reagan administration. 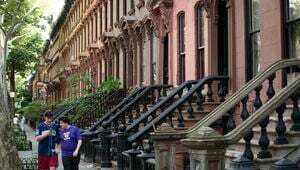 Before entering politics he attended Princeton University where he earned a degree in economics. He served in the Marines from 1942 to 1945. He then earned a Ph.D at M.I.T.. After leaving public office in 1989, Shultz called for the legalization of recreational drugs and then became a behind-the-scenes advocate for various Republic politicians. He has served on a number of boards. He was a Board Member of the Bechtel Corporation, the Charles Schwab Corporation and Gilead Sciences. Theranos Connection: Perhaps most infamously, George Shultz was a member of the Board of disgraced blood company Theranos. He arranged for his grandson Tyler to get a job at Theranos. Tyler would ultimately be one of the primary whistle blowers who helped expose the Theranos fraud. George did not believe his grandson's claims and at one point reportedly tried to strong arm Tyler into recanting his statements because he blindly believed in Theranos founder Elizabeth Holmes. George and Tyler reportedly no longer speak to each other. George is a subject of the 2019 HBO documentary about Theranos called "The Inventor". 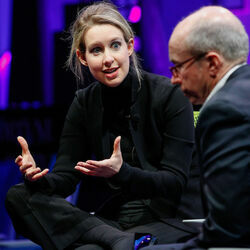 Is Elizabeth Holmes A Genius Or A Con Artist?